Top 15 LGBT Friendly Senior Living Communities In The U.S.
As attitudes and awareness about the LGBT community come full circle around the country, many lesbian, gay, bisexual and transgender seniors are finding they now have more choices when it comes to living out their silver years in a senior living community. It wasn't that long ago that many would have been turned away as a matter of policy, rejected by staff, or made to feel unwelcome in their own would-be homes. Happily, things are changing. Today, there are many LGBT-friendly senior communities popping up all around the country. Fifteen of the most vibrant, thriving communities are highlighted below. 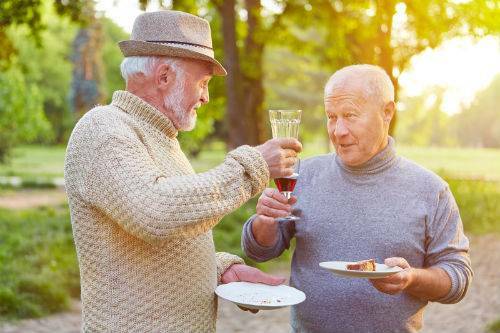 This is one of the most popular and well-known communities of its kind in the country, partly because they were the first retirement community in America to openly welcome LGBT seniors. The Palms is a vibrant, thriving place to live. It is located in the Tampa Bay area between St. Petersburg and Sarasota. There are two areas or phases, one with 21 stand-alone homes and another with 2 condos and duplex units. Each group has a separate condo association but they are all recognized to be part of the same community. Residents report a friendly, warm atmosphere with activities, comfortable and beautiful common areas, and a convenient location. 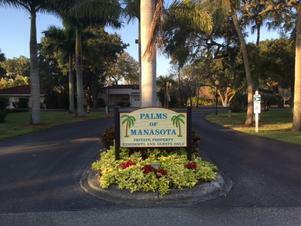 For more information, see The Palms of Manasota. The Resort is a women-only community and includes more than 50 acres with over 250 homes and RV lots, all with a beautiful, nature-focused setting. Many of the home sites include sunny Florida views of freshwater lakes and preserves. This place is a popular vacation spot for many while others choose to make it their year-round home. There are beautiful vistas, meticulous common areas for swimming, outdoor living, and plenty of activities for residents and visitors to enjoy the popular Southwest Florida lifestyle. More information can be found at The Resort on Carefree Boulevard. Stonewall Gardens offers luxury and full-time personal care as needed, in the heart of sunny Palm Springs. 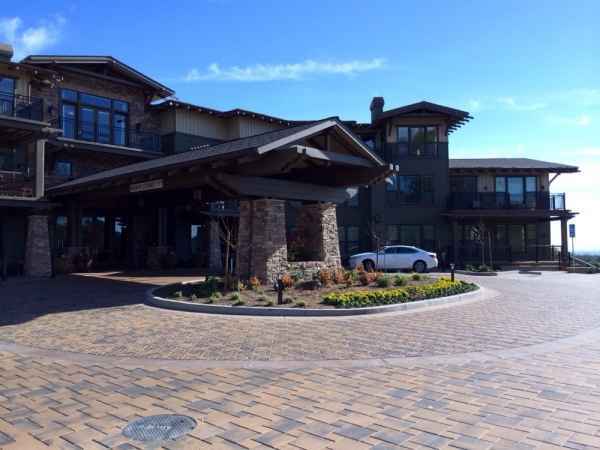 The facility has 24 units and is managed by Northstar Senior Living. On-site nurses provide 24-hour health and wellness care. There are daily activities, and delicious gourmet meals prepared by an on-site chef with all special dietary needs in mind. Residents enjoy group outings like going to the theater, shopping, dining out, and more. Homes feature private patios, beautiful outdoor spaces, and the facility is also pet-friendly. 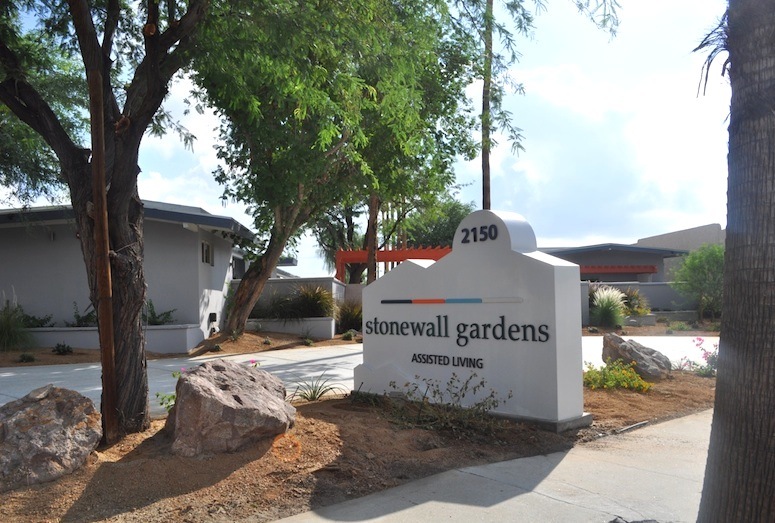 LGBT seniors in need of full service care will find Stonewall Gardens provides the support and dignity families want for their loved ones. More information can be found by clicking on Stonewall Gardens. This craftsman style, modern facility is updated but feels like old world traditional luxury with fine woodworking, spacious floor plans and a unique blend of contemporary and classic decor. The natural beauty of the outdoors has been taken into consideration throughout with big windows highlighting beautiful views, very nice outdoor areas, and stunning interior design to compliment the scenery. Pets are welcome too. This LGBT-friendly community is one of the most beautiful communities on the list. For more information, visit Fountaingrove Lodge. 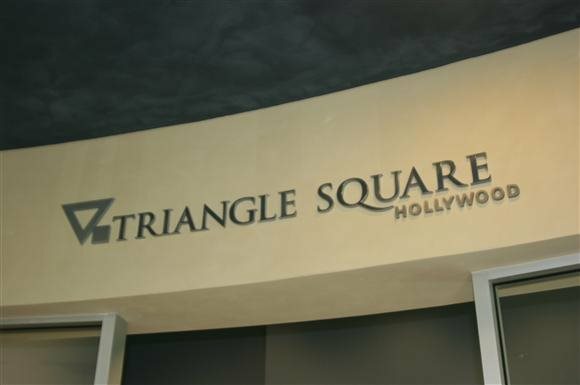 A slightly different take on the traditional retirement communities listed so far, Triangle Square was designed to provide homes for people in need of a more affordable housing option. There are 96 units for lower-income seniors and 34% are designated specifically for seniors living with HIV/AIDS or who are at risk of homelessness. The building is modern and clean, located at the corner of Selma and Ivar Avenue, and features a pool, lounge areas and common laundry facilities. The location makes this a special opportunity for LGBT seniors seeking a safe place to live in the LA area. This facility was built by the city of Los Angeles, Redevelopment Agency, Housing Department, and the Housing Authority with help from SunAmerica. More information is available at Triangle Square Senior Apartments. Rainbow Vista is a LGBTQ senior (55+) community near Portland, offering residents a safe, non-threatening and discrimination-free environment. Apartments range from studio to one-bedroom units and communal areas feature large event spaces, a theater room, workout space, game room with a pool table, and a music room. Utilities are included except for phone, internet and premium cable. This is a community that hosts barbecues, holiday parties and birthday celebrations. It is all about a welcoming, comfortable environment where everyone belongs. Additional information can be found at Rainbow Vista. This women's RV community is gaining popularity and residents say there is no other place like Discovery Bay on the North Olympic Peninsula. The natural beauty of the area makes it a wonderful vacation spot, and local residents also love the many options for recreation, outdoor activities like kayaking, birding, hiking, biking, waterfalls, and tide pools. The community also offers an an office/lounge with a full community kitchen, TV, computer and printer, WiFi, and mailboxes. The biggest challenge residents report is the need to downsize into an RV. Some just visit, others stay year-round. 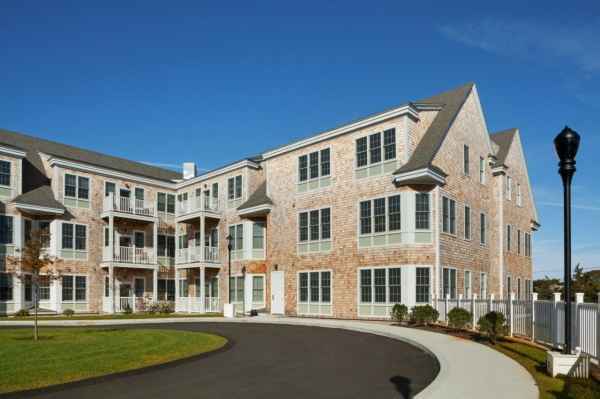 The Residences at Seashore Point welcomes people 55+ from all walks of life. This is known as a concierge condominium community that makes for carefree living. Amenities and services make everyday chores a breeze and all are welcome - single, married, gay and straight, first and second home owners, still working, or retired. The Residences at Seashore Point is close to many popular restaurants, arts, cultural events, and festivities. Pets are welcome too. More information is available at Seashore Point. 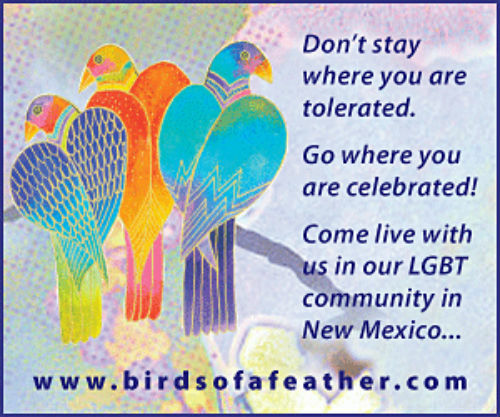 This is a beautiful, gated gay and lesbian community of homes in New Mexico that offers direct access to many acres of adjoining private property conserved as green space. The community is a hiking and biking paradise and your LGBT neighbors are friendly and welcoming. Residents enjoy nature trails for walking and hiking, including the National Forest Land surrounding the property. Additionally, the Pecos Wilderness preserve is only minutes away and features hundreds of miles of trails for hiking and horseback riding. More information can be found at Birds of a Feather. This senior housing community is located at the border of Cleveland and Lakewood and offers a unique environment for seniors 55 and up. One and two-bedroom apartments include all the amenities, beautiful outdoor grounds, and a friendly, dedicated staff. Part of a Transit Oriented Development (TOD), the area offers very easy access to the West 117th RTA Rapid Transit Station making shopping, parks, and other entertainment options very convenient. Additional information can be found at A Place for Us. Love mountains and the outdoors? Carefree Cove might be a great place to retire. This is a gay and lesbian residential community in a mountain setting where friendly neighbors enjoy outdoor activities and scenic beauty all year round. Carefree Cove is a vacation spot for some but many LGBT seniors call it home and wouldn't trade the experience for anything. If you'd like more information, visit Carefree Cove. 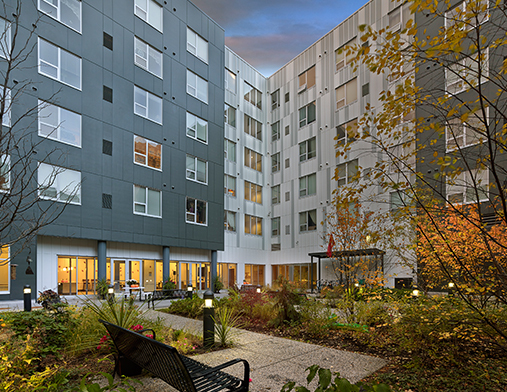 This facility is a unique, urban LGBT-friendly apartment community for seniors 62 years old and up. With amenities designed to make life more enjoyable and special features that are both modern and comfortable. Each one-bedroom apartment has an open floor plan and modern kitchen, an inviting community room, outdoor community patio, and a variety of resident events and services. In the heart of Center City Philadelphia and just minutes from the "Avenue of the Arts," this apartment community makes shopping, dining and entertainment convenient. More information can be found at John C. Anderson Apartments. This is a small, women-only community that has been growing for the last 10 years in the desert of Arizona. This is a private community located in the Greater Phoenix Metropolitan area and is for residents who are 55 years of age and older. The group is close and supportive, has a thriving Homeowner's Association, fun events for residents, and beautiful scenery on the property. For more information on this listing, visit The Pueblo. 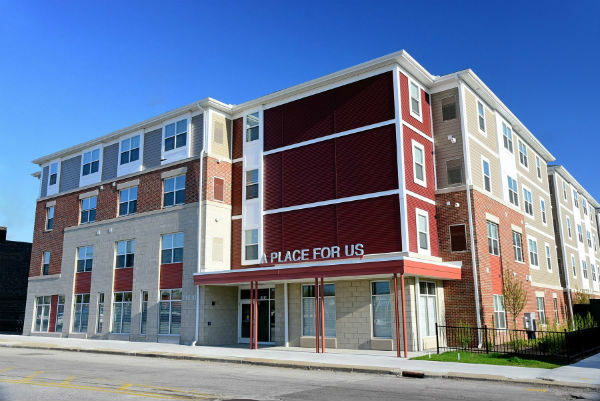 This apartment community first opened in 2014 with 46 affordable, urban homes at the corner of Lake Street and 13th Avenue South in Minneapolis. Located near vast and rare greenspaces, this facility is just one block away from the Midtown Greenway offering residents access to miles of popular bike trails. It offers urban living in a safe, LGBT-friendly environment. More information can be found at Spirit on Lake. 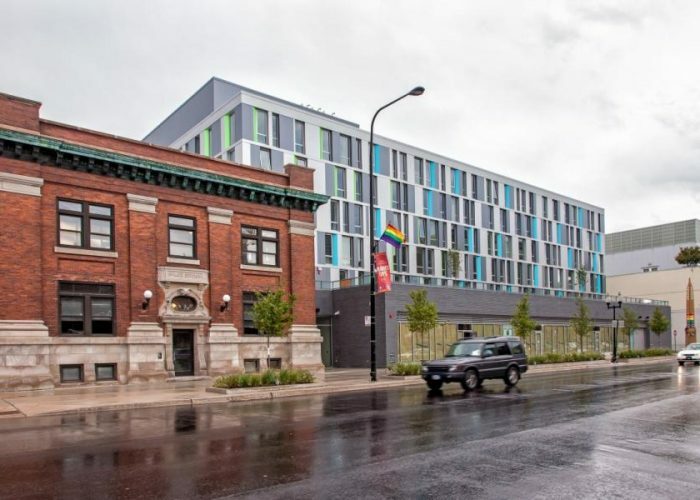 Townhall Apartments is part of an affordable housing initiative in Chicago, offering permanent housing and supportive services for people at risk of homelessness and/or living with HIV/AIDS. The facility has been around for 3 years and is a safe place for LGBT seniors to live and retire. Units are simple, low-cost and clean. 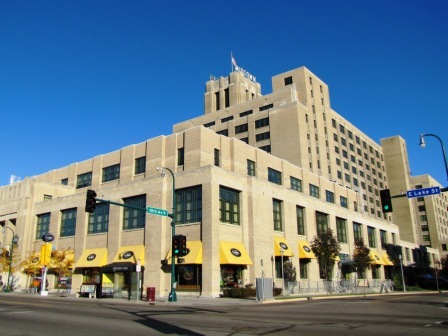 The community is vibrant and has access to all the dining, shopping and entertainment that Chicago is famous for. More information can be found at Townhall Apartments.